This duvet is very soft and bright white. I really liked it, except that i threw it in the dryer to dewrinkle and when it came out there were tons of threads coming out everywhere. I have a colossal king comforter and this isn't going work because of size, otherwise I would be keeping it. Woven of brushed microfiber for an ultra-soft, smooth feel, this duvet cover is crafted of 120-gsm weight for long-lasting and remarkable higher quality and is available in a pallette of soft and dark solid colors to coordinate with variety of contemporary and transitional bedding alike. Set includes one twin duvet cover and one twin sham. Duvet cover includes internal corner ties that can secure your comforter thru its corner loops and prevent shifting. This durable oversized duvet set is machine-washable for easy care. This duvet cover and pillow covers are quality fabric. They feel soft to the touch and seem to be quite durable. We have had this duvet cover on our bed for the past month and it is definitely a winner! We haven't had a problem with wrinkling and best of all--it's oversized and actually covers our bed and fits our comforter! It took me weeks to finally find a duvet cover that would work for our bed. This duvet cover really is oversized...which is a little bit of a problem for me, because there isn't a separate full size, it's full/queen and for a full comforter, it's really too big. But the material is very soft and it washed beautifully. My daughter likes it. It's microfiber,so I don't know if it will pill... but for the price, I'm happy with it. I do think that Ovestock's policy of deducting $$ for returns if the package is opened will keep me from purchasing other items...it's very hard to be 100% about colors based on a computer monitor, and sometimes you can't be sure until you actually see and feel an item. In the package, even though I bought the gray paisley, this appeared more brown than gray and I very nearly sent it back because of it. if it had cost more, I would have, but as it was, I decided to take a chance and break the plastic tab that seals the package. Out of the plastic and spread on a bed, it's soft and smooth and gray, very nice. I purchased this duvet before the Holidays so I could re-do my bedroom before guests arrived. I was so very please with this duvet and quite shocked at the quality, colors and softness. I will be ordering another in another print for the rest of the winter months. The colors of the floral design is so pretty and the compliments that I have received are worth the effort. I'm looking at the King extra large as my winter blanket is the same size. It fits perfectly. Now, just to decide which one as they are all quite pretty. Thank you for such a great product. When I saw this beautiful duvet cover set (I bought the Leaves Multi) I fell in love with it. The colors are so crisp and clean and it feels like a million bucks! I would highly recommend this product. I bought this at the same time I bought an oversized king duvet at Overstock in 116x98 measurements. This king duvet cover has ties inside which hold the oversized duvet perfectly. It is so soft. I bought the white color which did have a little stain on it but I was washing it anyway before using it so it came right out in the wash. Great value for the price. This duvet cover with its tropical rain forest design transformed my room.It has every color I wanted: turquoise, greens, aqua, shades of blue. With solid turquoise drapes on two walls with large windows, the room was begging for some relief, and this beautiful cover provided it. I like the quality of the fabric, and it seems well made.Ii would cheerfully recommend this duvet cover to other shoppers. This is a great set, especially for the price. Fits a double stuffed extra long queen duvet set. Makes the bed look 4 star hotel worthy! The duvet cover has a very nice, soft feel to the fabric. The pattern is more vibrant than pictured. I like this product. Very soft and appears to be good quality. Love the color of ginger. 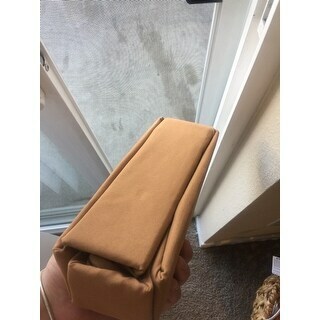 Was looking for a long time for this unique color as putting on a bed in a room with a love seat with this coloring. Very rich looking color. Will put a light weight comforter in duvet for a little warmth during the AZ winters. Good quality, nice feel to the fabric. Looks good and brightens up my bedroom. Am really enjoying this duvet. The print is lovely and it has really brightened up the bedroom. An excellent value for the price! I love the feel of this cover and the aspen leaves, albeit very modern, looks great in our log home. I know now that I will never purchase a regular king size comforter, the oversized is the way to go. Finally... our comforter covers the sides of the mattress. Ordered the 'glazed ginger' ... instead of the vibrant yellow tone in the picture, it arrived a muted brown color, no brightness whatsoever. At first I thought maybe it was just my lighting, but even outside, it was brown. Disappointing. It's a very nice set and the colors are bright and clear. I just find I'm not a fan of microfiber. Beautiful and well made. The packaging is very neat. The good news is the Tropical Rainforest print is beautiful--better than the pictures and the size for a queen is great, large enough to have some hanging down on the side and I like the button closures. The negative is the material--it is slippery, kind of like a sateen. I thought with micro-fiber it would be soft and would stay put--not the case, it slides around a bit too much for me. Love the colors of this cover and shams in my rental bedroom- looks great. Good quality- great price! Nice material! My only complaint is that I couldn't get it to stay attached to the comforter. It has ties inside each corner to attach it to the comforter. It could be the way I tried it but the comforter would end up balled up inside. "Has anyone had a problem with the material pilling?" "I am interested in the Madrid Printed Oversized Duvet cover 3rd from the top on the left stack A blue/green leaf pattern. I can't seem to find the option"
"You say it is soft, but is it a animation suede feels or a t-shirt feels or cotton like a poly cotton dress shirt? Thank you so much for any info." 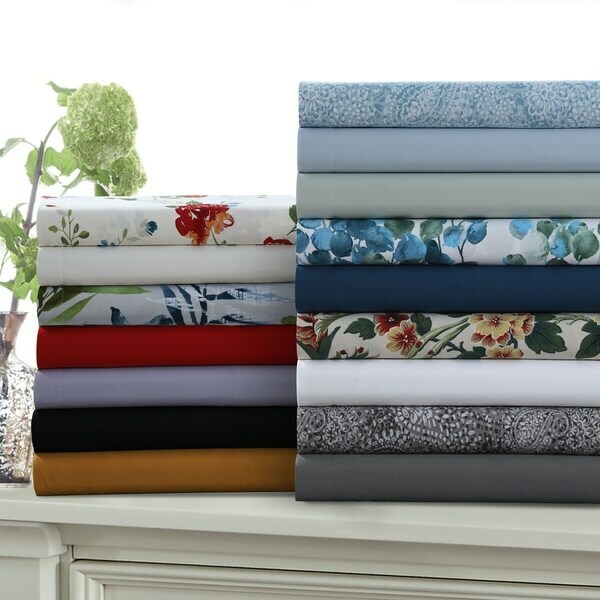 "Re:Madrid Solid or Printed Oversized Duvet Cover Set I like the 4th down on the right stack - also the 5th individual picture (between blue paisley and red floral) WHAT IS THE NAME OF THIS PATTERN? I've looked at this a couple of times but I can't figure out which description fits it so I can order it. WHY isn't the name under the picture?" Leaves multi, 2nd picture under the main picture is labeled. "Is the gray paisley light gray and dark gray, or is there white in the print? Thanks!" I have been searching for a duvet cover that was big enough for my duvet. Almost all are too small. My duvet measures 110X98. It's a King. Really hard to find a duvet cover big enough. "How do I know what pattern name goes with each picture? There are too many different patterns and solids on the same listing without any text specifying what is what so that I know which to order." In the second picture of them stacked, the names are on each stack. Hard to see, but they're there.